It is truly the national festival of Nepal. Every Nepali is stirred by the prospects of joy that this festival is supposed to bring with it. The change of mood is also induced psychologically by the turn of autumn season after a long spell of monsoon, introducing clear and brilliant days, an azure blue sky and a green carpet of fields, the climate is also just ideal at this time, it is neither too cold nor too warm. The Nepalese cherish their Dashain as time for eating well and dressing well. Each house sets up shrine to worship the Goddess at this time. Barley seeds are planted on the first day in every household and nurtured for nine days. During this period Goddess Durga Bhawani is worshipped and offered a lot of blood sacrifices. Buffaloes, goats, chickens and ducks are killed by the thousands at the temples at military posts and in every household. One of the main center that witnesses the animal sacrifice in a Large scale at this time is the Hanuman Dhoka palace on the ninth. On the concluding day of the festival called the Tika, the elders of the family give Tika to their junior members and to other relatives who may also come to seek their blessings. The fresh shoots of the barley’s are also given. Family feasting and feeding of guests is a common practice at this time. It lasts for five days and is marked by worship to different animals such as crow, the dog and the cow, five various days. The most important day is Laxmi puja. The most endearing sight of this festival is presented by the illumination of the entire town with rows of tiny flickering lamps on Laxmi puja. In the evening of this day, the Goddess of Wealth, Laxmi is worshipped at every household and it is on her welcome that myriad of lamps are burnt. On the fifth day sister show their affection towards their brothers with puja and feed them with delectable food. 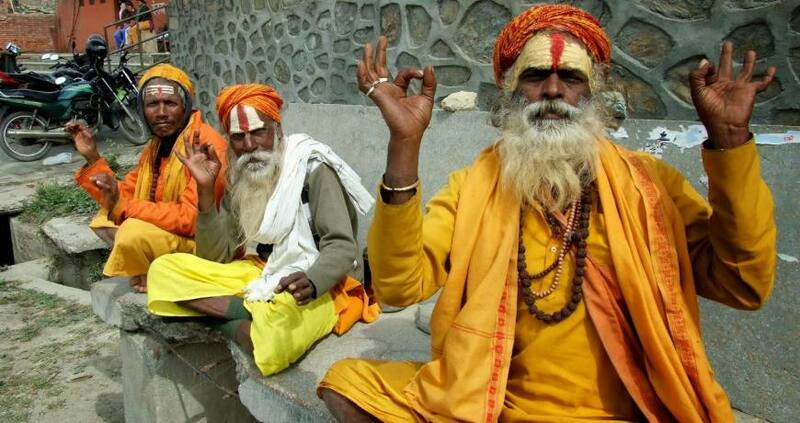 They pray for their brother’s long life to Yama, the Hindu God of death. Teej is a festival of womanhood. This is a special festival for married women who are supposed to fast all day and bathe in the holy waters of the rivers. Dancing, folk songs and the red color sari that are worn by them on there wedding day dominate the day of Teej. Red is a symbol of joy and happiness in Nepal and the color used for marriage ceremonies. Married women are supposed to wear a lot of red. The days recall the heavenly occasion when Parvati, daughter of the Himalaya, won the hand of Lord Shiva after severe meditation and fasting. On the fist day of this festival mothers send sweet, meat, saris to their daughters’ houses. On this day group of women gather together to feast. At midnights, the women begin a fast in emulation of Parvati. The second day is for worship. The married ones ask for happy and productive marriage and a long life for their husband. Those yet to tie nuptial knots ask for a good husband. It is believed that their married life will be long and happy and they will not lose their husbands if they celebrate this festival. The entrance to Pashupatinath Temple is a good place to watch as crowds of women come down to the river, dressed in brightly colored saris with red marks on their foreheads.